Malaseb Shampoo There is 1 product. Malaseb Shampoo is used for the treatment and control of seborrhoeic dermatitis associated with Malassezia pachydermatis andStaphylococcus intermedius in dogs. 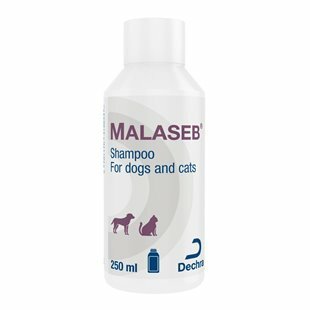 Malaseb Shampoo is used as an aid in the treatment of ringworm due to Microsporum canis in the cat in conjunction with griseofulvin.